Sarah Geronimo, pop star singer in the Philippines was trending worldwide today that the American Idol Star Stefano Langone have curious and ask about it. Recently Sarah G. leave ASAP to concentrate on her own show "Sarah G Live" in replace of Vice Ganda Show, the pop princess decided to choose the later to give a full performance on here own first variety show that will premieres on February 26. I like Sarah, she is really awesome and humble! So...kung wala na si Sarah sa ASAP...sino na lang natitira doon? Tsk..tsk...ASAP will never be the same without those power voices in the house. If to compare the tribute of ASAP and Party Pilipinas for Whitney Houston...Party Pilipinas has it. Regine, Rachel Ann Go...belted out awesome renditions. It makes me sad because I have always been an ASAP fan. I'm happy for Sarah G. though. Congrats to Sarah! She's a very talented person. Though it's great na meron na syang isang show, nakakalungkot naman na wala na sya sa ASAP. Oh well.. 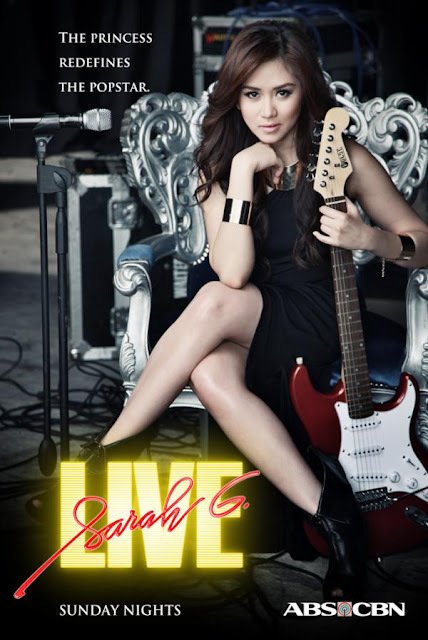 I like Sarah she is truly a talented singer. Congrats to her. I am sad for Sarah to go. Anyway, lagi talaga siyang nagte-trend. Ibang klase ang fan-base ni Sarah G! I haven't heard about her until now, but I will check her out.